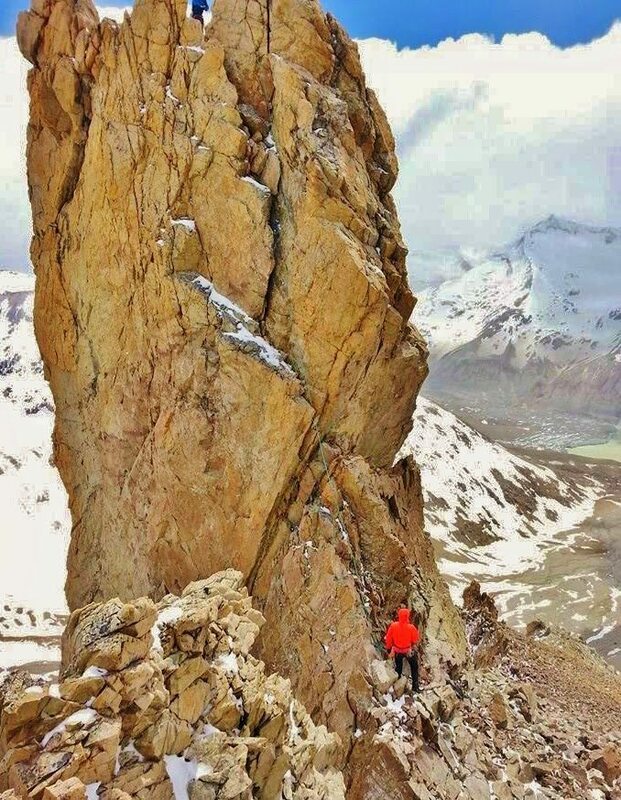 In November 2013, Derek DeBruin, Kevin Shon, and Karsten Delap traveled to Argentina to attempt a new route on the east face of Cerro San Lorenzo. San Lorenzo is located in central Patagonia, north of Chaltén in the Santa Cruz province. Entrance to the southern reaches of the Argentine portion of the mountain is gained through Parque Nacional Perito Moreno. The trio began the trek via the Rio Lacteo Valley on November 15 with enough time and provisions for approximately 8 to 10 days while waiting for a weather window. After 5 days camped in the morainal talus near the head of Glaciar Lacteo, the group experienced only poor weather, predominantly freezing rain and snow with extreme winds. Finally, a morning of fair skies led to a brief 12-hour weather window. This was not enough time to attempt a route on San Lorenzo’s approximately 5,000 foot east face, but did provide an opening for climbing on the agujas of nearby Cerro Penitentes. The team completed a first ascent of the northernmost pillar of Cerro Penitentes at an elevation of 2211 meters (7,254 feet). The pillar included approximately 80 feet of 5.7 climbing atop approximately 5 kilometers (approx. 3 miles) navigating snow and talus in the peak’s principle northern drainage near Lago Lacteo. The following evening saw the return of foul weather and a forecast for at least 3 additional days of high winds and heavy precipitation. Given the limited time and supplies remaining, the group elected to head north to sample the climbing near San Carlos de Bariloche in hopes of better weather. On the trek out, they passed the group of Bryan Gilmore, Mikey Schaefer, and Josh Wharton. This team was basecamping at Puesto San Lorenzo, also with aspirations on the East Face. They planned to stay for the rest of November and the first few weeks of December if necessary, allotting an entire month in hopes of an adequate weather window. Once back in Bariloche, Derek, Kevin, and Karsten spent most of their time on Monte Tronador with a dash of limestone sport cragging thrown in for good measure. 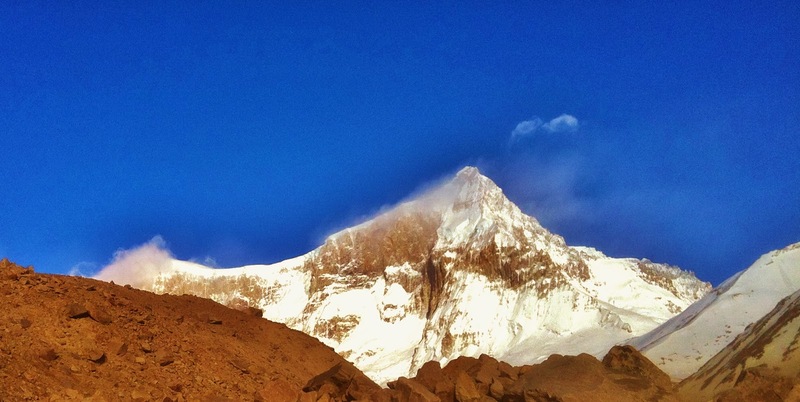 The team hopes to return to Cerro San Lorenzo in 2014 with more time for another attempt on the East Face. Full beta for the trip and a narrative blog series are coming soon! This expedition was made possible in part by a grant from the American Alpine Club as well as support from Ibex OutdoorClothing, BlueWater Ropes, Goal ZERO, and Native Eyewear.